So, the dates are set and written on the calendar, and everyone is looking forward to white water rafting through the Grand Canyon. Fortunately, there are plenty of things to think about while the date of the trip slowly approaches – things like how to pack for it. What kinds of clothes are right for spending a few days on the river? Where do you keep the clothes? There are plenty of things to consider when packing for a Grand Canyon raft trip, but Arizona River Runners would never leave anyone in the dark about such an important part of the trip. If there are three important things to remember when packing for a whitewater trip it would be: water, sun, and dirt/sand. These aren’t things to bring, but what needs to be kept in mind when deciding what to pack for a Grand Canyon rafting trip. First, a trip will involve a significant amount of time on the river, which means a lot of time will be spent on, near, and perhaps in the water. Clothes should be fast drying and okay to get wet. Leave the jeans and fashion tops at home. Bring quick-drying nylon shorts and shirts that will dry off quickly or will be dry by morning. The good news is clothes like these are not terribly difficult to find, nor are they horrifically expensive. Any sport store or general retail store will carry clothes like the ones described! Don’t go overboard though – no need to bring a new outfit for every day on the river. Shirley, a long-time employee, suggests a rule of thumb that “for six days – bring four of each shorts and shirts. You don’t have to change clothes every day. Bathing suits are a good idea to wear beneath your clothes, or even as clothing. However, women should avoid one piece suits, which may seem a bit counter intuitive. While a one piece may provide more coverage it makes things like going to the bathroom or changing clothes much more difficult. Privacy is in short supply while on the river; something to keep in mind while deciding what clothes to bring. Keeping things simple and easy will make everything less stressful during the trip. Sun protection is very important when getting ready for a Colorado River trip. Especially rafters coming from outside Arizona, it must be understood how important it is to have sun protection at all times. Lip balm and lotion with an SPF of 30 is recommended, and reapply often. Sometimes a long sleeve shirt with built in UV protection is the best idea during the months when the sun is especially strong, such as June, July and August. These long sleeved shirts can be found in sport stores. They are light weight without any cotton, will dry quickly and be less likely to irritate skin when they do get wet. Don’t forget your hat and sunglasses (both with retention string) for added protection. For cooler times and rainy weather, a lightweight fleece or fleece-lined jacket will keep you cozy. Rain gear is a MUST. Look for quality pieces that are waterproof, not just water resistant. The point is to stay dry! A couple of other packing tips…Bring two pairs of shoes, one for the raft and one for camp; make sure they are well broken in! Don’t forget socks, these are great for camp and help your feet if you get sore spots from your shoes. Make sure your camera has extra batteries and memory card, and store in a zip lock bag – not just to protect it from the water, but from the sand! A bandanna is helpful too, it comes in handy for cooling off or keeping the sun off your neck…Lastly bring a water bottle; hydration is important on the rafts and on the hikes. With over forty years of experience, Arizona River Runners knows the ins and outs of what is a must for a whitewater trip, as well as what to leave behind. White water rafting through the Grand Canyon offers a unique view of one of the most incredible natural wonders of the world. 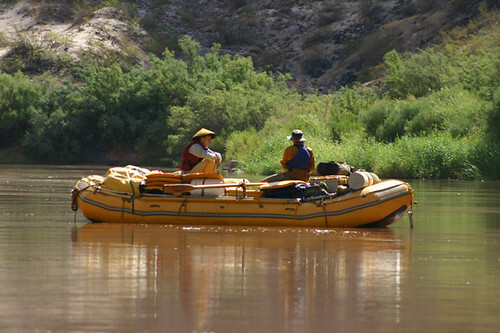 Since 1970 Arizona River Runners has provided all-inclusive Grand Canyon rafting trips. They are one of the most innovative, progressive and well-respected outfitters operating with customized state-of-the-art rafts, a wide variety of trips from 3 to 8 day motorized Grand Canyon rafting trips to 6, 8, 13-day oar powered whitewater trips. Haley has been writing articles, blogs and press releases for LuCorp Marketing, LLC for two years. She is a senior at Arizona State University, double majoring in psychology and sociology. 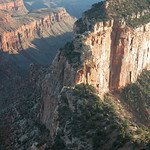 I have always wanted to raft the Grand Canyon, and I think we are going this summer. I can definitely see how sun protection would be vital. Normally I don’t like wearing sunscreen, but for this, I will take along some SPF 30 for the trip. It really helped when you said that it would be best to have a hat and sunglasses during the trip for added protection. I am the kind of person who doesn’t usually wear hats and sunglasses because I do not like to much stuff on my head. But this will really be useful if it means protection. I will definitely bring these things once we’ve finally found a trip that we would book.